An icon of London, the hallowed ground in HA9 has seen dozens of unforgettable events since it flung open its doors in 1923. With 90,000 seats, Wembley Stadium is the epicentre of London’s biggest music and sporting events. But it’s not at the epicentre of London, meaning transportation can be time-consuming, costly, frustrating – or all three. 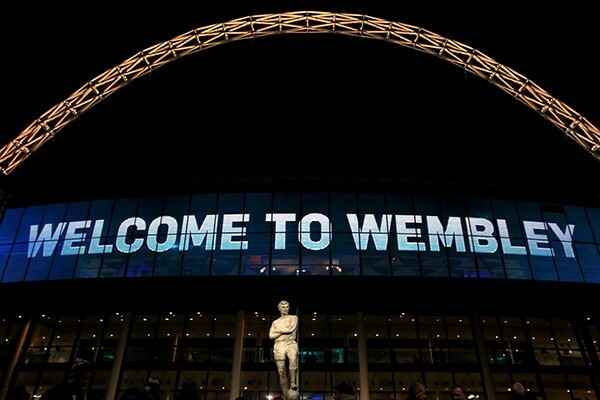 Why not take the hassle out of your night – and be treated like a rock star- by booking a Wembley Stadium chauffeur service? Interestingly, the current Wembley stadium is less than a decade old. The first stadium was built in 1923, and held events such as the 1948 Summer Olympics, England’s spine-tingling victory over Germany in the 1966 World Cup, and the 1992 Rugby League World Cup Final between the UK and Australia. The current iteration of Wembley Stadium may be young, but its guestbook already boasts a veritable Who’s Who of the music world, with concerts from greats including Madonna, U2, and Eminem. Plus, it has hosted a smorgasbord of sports including football, rugby, NFL, and even boxing. Whether you’re going to a one-in-a-lifetime concert or an epic sporting battle, Mercedes Chauffeur Hire has the ideal transport solution to make the event even more special. There’s simply no need battle your way through the crowds on the Jubilee and Metropolitan underground lines, or rely on pressured London bus routes – Sit back and bask in the luxury of your own private London chauffeur service, and enjoy the benefit that comes with a driver who knows the quickest routes during big events. Whatever your party size, Mercedes Chauffeur Hire has the vehicle for you. Flying solo, with a special someone, or a couple of friends? Your wide range of options include the luxury and timeless class of the Mercedes S Class limousine, or the show-stopping Range Rover Vogue SUV. For parties of up to seven people, the palatial surrounds of the Mercedes V Class Viano people carrier offers comfort and space, with the vehicle’s special social seating arrangement enabling you and your party to chat and perhaps sip some champagne, extending the fun to include the journey itself. The Mercedes Benz luxury mini coach is perfect for parties of up to 16 people – with its gorgeous leather interior, tables and entertainment options, this mini coach offers a first class group transport experience. With more than 20 years of experience providing chauffeur driven cars for events at the Wembley Stadium site, Mercedes Chauffeur Hire is the top choice for attendees, rock stars, and sports stars alike. Complimentary offerings: High-speed Wi-Fi, choice of magazines, and refreshments including mineral water, sweets, and mints. Our superior Wembley Stadium chauffeur service wins the day every time. To find out more or for a free quotation, contact us today.